The quantity flows of sortable material become ever shorter as sorting depth increases. 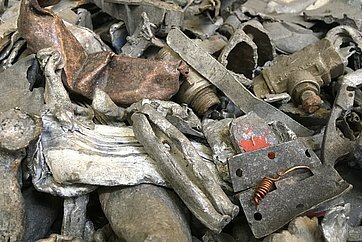 Adaptation times and material conversion effort can be drastically reduced where the separation of multiple products in a single sorting stage is required. Our STEINERT LSS line sorting system is conceived for this very purpose and enables sorting of multiple product fractions in just one stage. 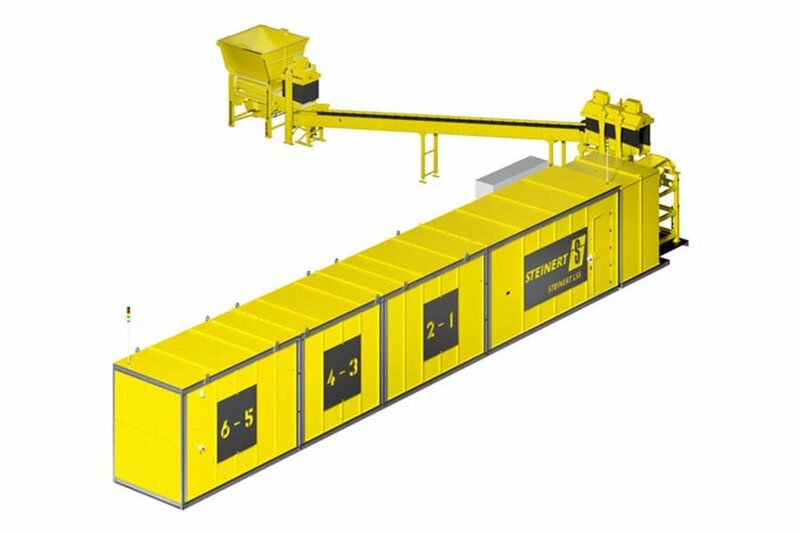 The conveyor system specifically designed by STEINERT means that all of the objects pass through the detection zone lined up behind each other and then through a series of side discharges. The sensors used are aligned by target position. Our STEINERT LSS LIBS is additionally equipped with 3D detection and a laser induced breakdown spectroscopy unit (LIBS). 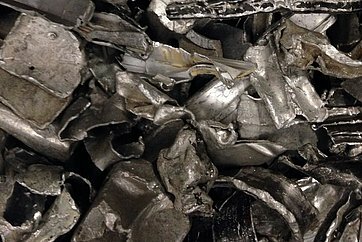 We have developed this efficient sorting machine especially for use in the sorting of aluminium scrap. It can for instance distinguish between alloy classes like 5XXX and 6XXX.